What is the dream of every golfer? To access information that will measure the distance to the green, front edge or centre, in both metres and yards with the click of a button. 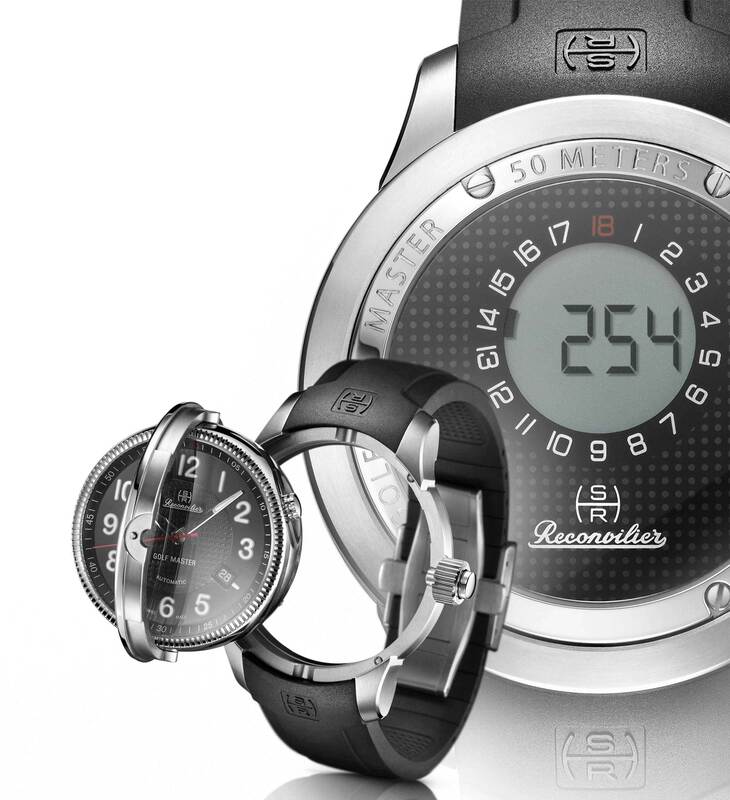 Well, The Hercules “Golf Master” from Reconvilier and its integrated GPS application allows you to do just that. Not only that, the watch has a dual personality – It has a “Rotar” reversing mechanism that allows the digital movement to be hidden behind an automatic watch for when you aren’t golfing.